One of the questions I got asked a lot lately was whether I recommend Dubai or Abu Dhabi. To cut a long story short, can say it depends on your interests and preferences whether you prefer Abu Dhabi or Dubai. Abu Dhabi vs Dubai, Dubai vs Abu Dhabi: Which city wins? I am happy to share a list with you, which I have created based on my experiences, hoping that this list helps you to make the perfect decision for YOU :). 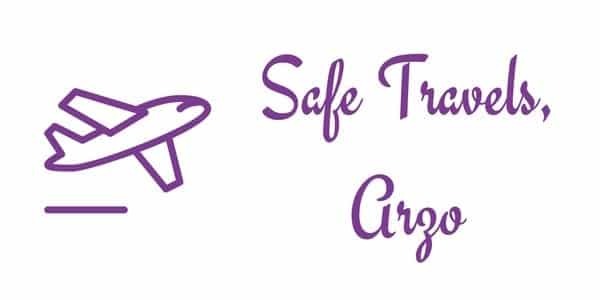 Both cities are incredibly safe, as in regards for female solo travelers or in regard of any kind of crime. Abu Dhabi and Dubai are “rich” and “clean”. 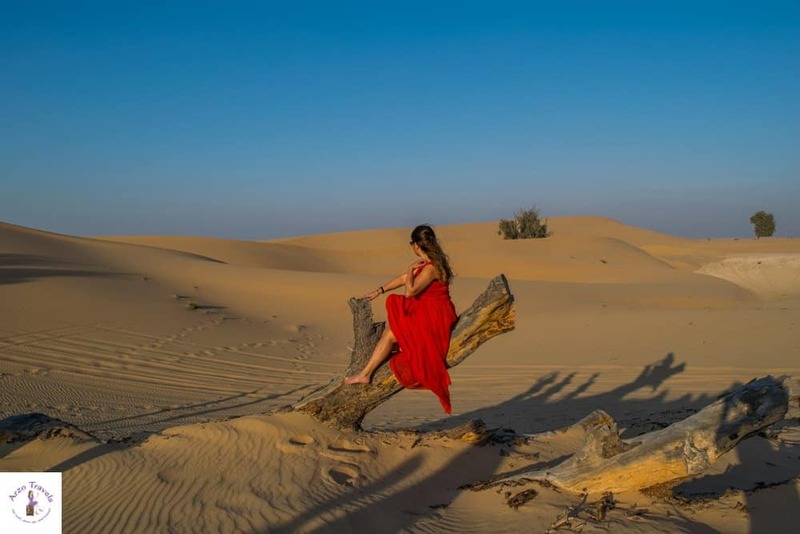 You can do desert safaris in both places (in my opinion desert safaris are one of the best things to do in both places), as you can do water sports activities, helicopter rides, and you can shop in both cities pretty well. Both are quite westernized, so there is not a cultural shock for western tourists. 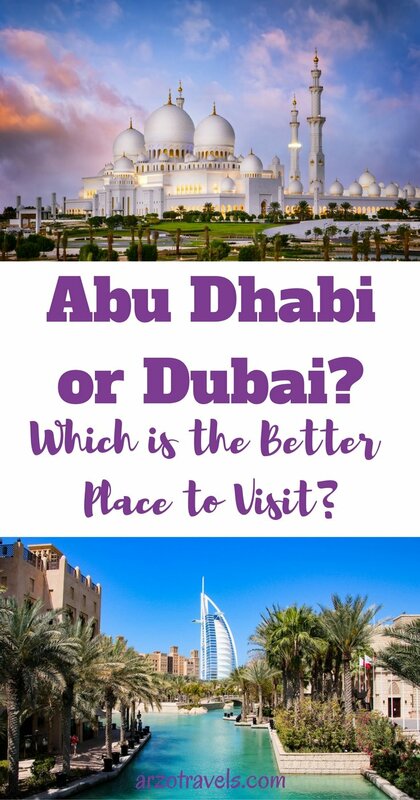 1 Abu Dhabi or Dubai – Which is the Better Place to Visit? 1.1 Why is Abu Dhabi better than Dubai? 1.2 Why is Dubai better than Abu Dhabi? Why is Abu Dhabi better than Dubai? 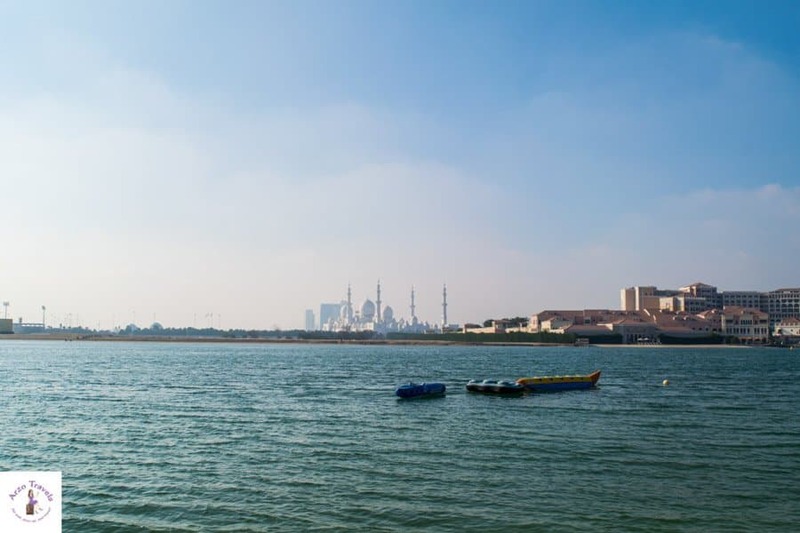 Find an itinerary for Abu Dhabi here and find out what to do in Abu Dhabi. What is better in Abu Dhabi? 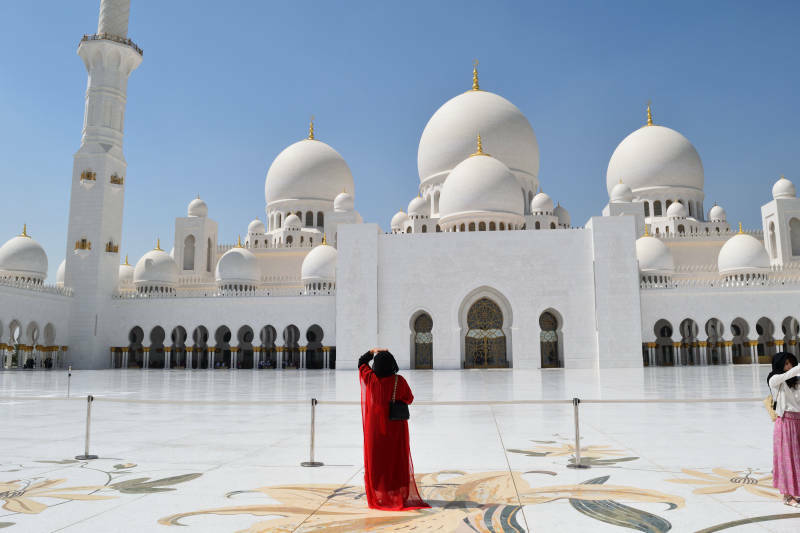 It is home to the most beautiful building: Grand Sheikh Zayed Mosque – Dubai has more interesting and famous buildings, but it does not have Grand Sheikh Zayed Mosque. The mosque is just beyond amazing and one of my favorites reasons to always re-visit Abu Dhabi. To find out more about the mosque and tips when visiting (and too see many more images click here). 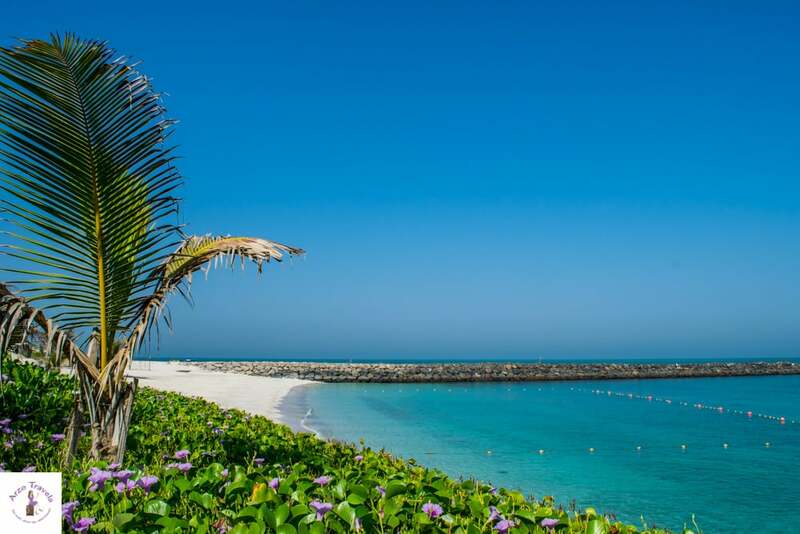 It has more beautiful beaches: the public beaches at Corniche or Saadiyat Island, the beaches in Abu Dhabi were more appealing to me. 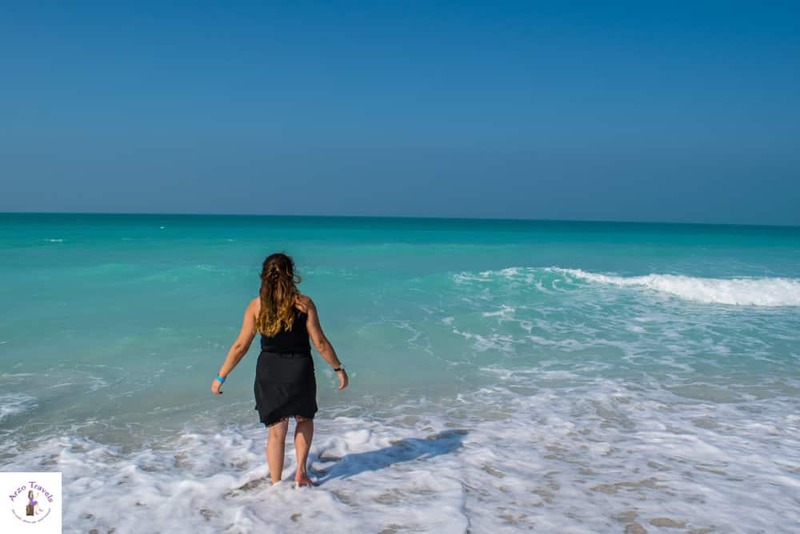 Though Saadiyat Island charges a small fee (about 5€) it is definitely worth the money and if you do not want to spend money on a day at the beach you will have a nice time at the free beaches in Abu Dhabi – which are quite empty and you´ll not see it crowded. Accommodation, especially luxury accommodation, is cheaper. As a test, I did some further research, so that I am sure it was not only at the time I visited. 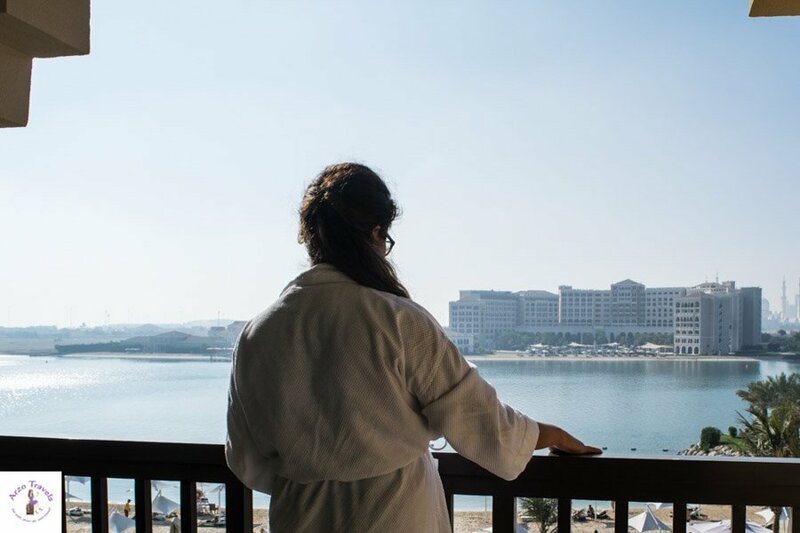 It seems that accommodation is cheaper throughout the year in Abu Dhabi – to check out the best hotel deals click here. I have stayed in several hotels in Abu Dhabi and whenever I visited the prices were below the prices in Dubai – while the standard is the same! Abu Dhabi is quieter. This can either be a pro or a contra argument, but if you do not like too much “bling bling” and too much of a hustle and bustle, you´ll probably enjoy Abu Dhabi more than Dubai. Though you will also find authentic areas in Dubai Abu Dhabi is still a bit more “Arabian like”. 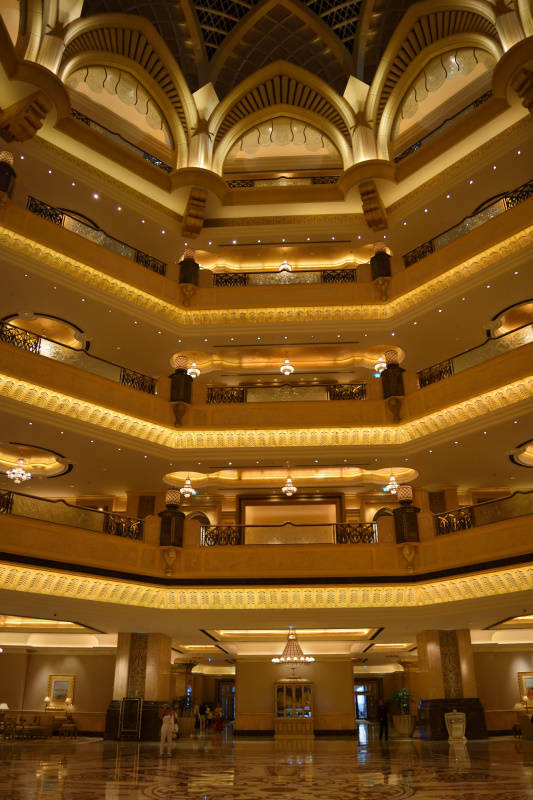 The Emirates Palace, the top hotel in Abu Dhabi, is also open to “ordinary” people who just want to have a look, while Dubai´s “top” hotel (Burj Al-Arab) is much more difficult to access. It has home to one of the most beautiful islands of the world, Zaya Nurai Island. After a 12-minute boat ride you will get to the private island – to be allowed to get on the island you have to get either a day pass or you can stay there as an overnight guest. Abu Dhabi is the better place to relax. As it is less busy, less crowded, and there is less traffic Abu Dhabi is the better place if you like to…relax and chill. Read about my 12 top tips for things to do in Abu Dhabi. So, ready too book your flight to Abu Dhabi? Then check out the best prices for flights I hotels I activities and tours in Abu Dhabi – The best deals for hotels in Abu Dhabi are here – so get your own offer and save money. Click here to read more about Abu Dhabi – where to go and where to stay. Why is Dubai better than Abu Dhabi? Here are the reasons why I like Dubai better than Abu Dhabi. 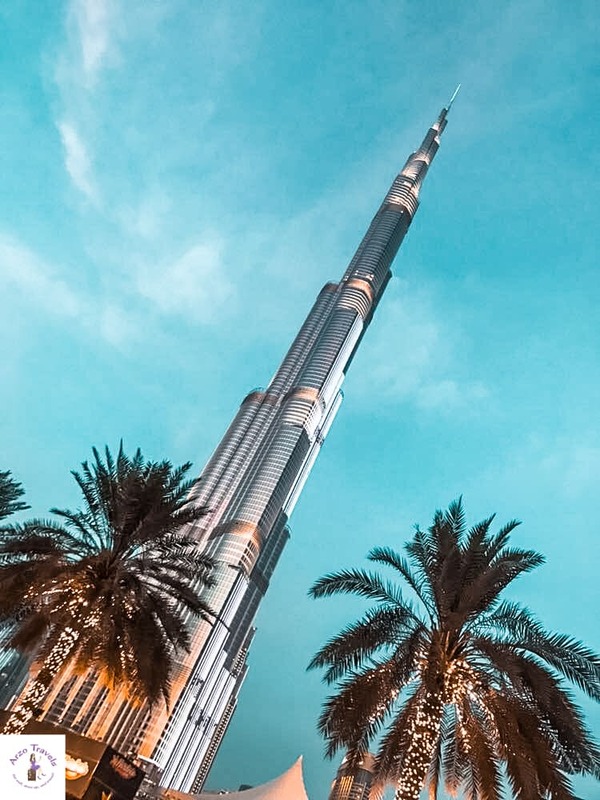 Dubai is the city of superlatives, and there are many interesting buildings: It is home to the highest building in the world, Burj Khalifa (pictures from the top of Burj Khalifa here), the 7* hotel Burj Al-Arab, and many more interesting buildings. If you are into superlatives, visit Dubai. There are more attractions, more to see and more to do. It will not get boring in Dubai. 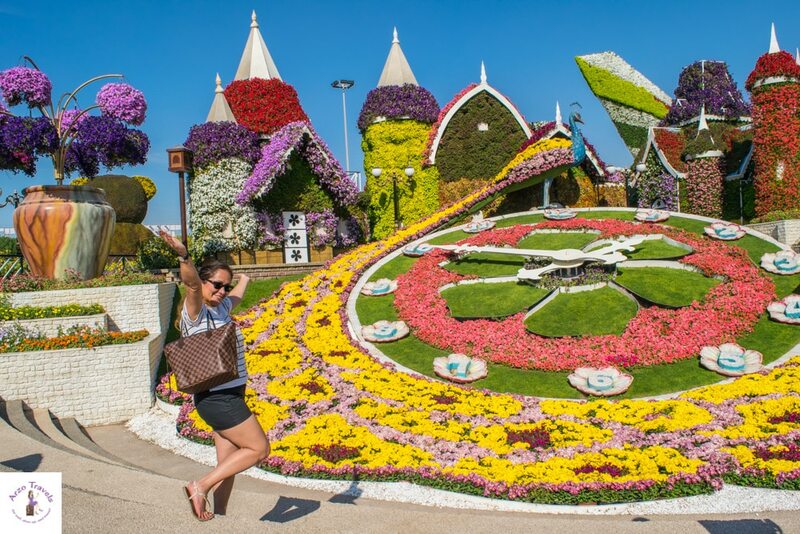 Whether you head to the tables building of the world (Burj Khalifa), or Miracle Garden, Dubai Mall, or Madinat Jumeirah – there is so much to do, that it was hard for me to pick only 5o top activities in Dubai (click here to read my tips 50 things to do in Dubai). So many “wow” effects all the time, even though I have visited Dubai several times I have these “wow” effects all the time, one of them was when I visited the top of Burj Khalifa. Dubai is more liberal- I think it is less conservative compared to Abu Dhabi (click here to find out what to wear in Dubai as a female). Though I am not into clubbing, there are more bars, more clubs, more parties than in Abu Dhabi. I, somehow, also feel less restricted in my clothing than in Abu Dhabi. There are more luxury hotels. If you are on a budget you can just do hotel sightseeing for free – and you´ll do not get disappointed – like the Atlantis- The Palm. Dubai has the Palm Island. Though the beaches are private (you can get a day pass though at many hotels) it is a perfect place to ride a bike and enjoy great views. 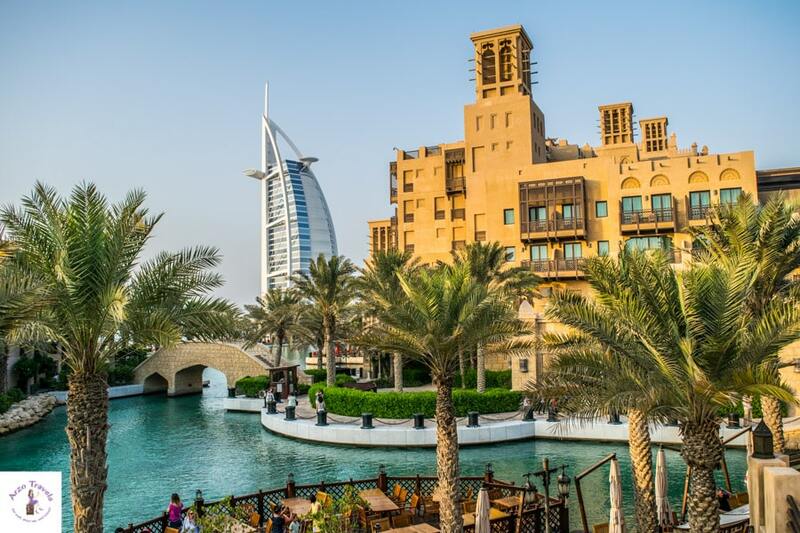 Dubai has Madinat Jumeirah, without any doubt, it is one of my favorite areas in Dubai. It is just a great place to spend the day, get lost and crop the day off. 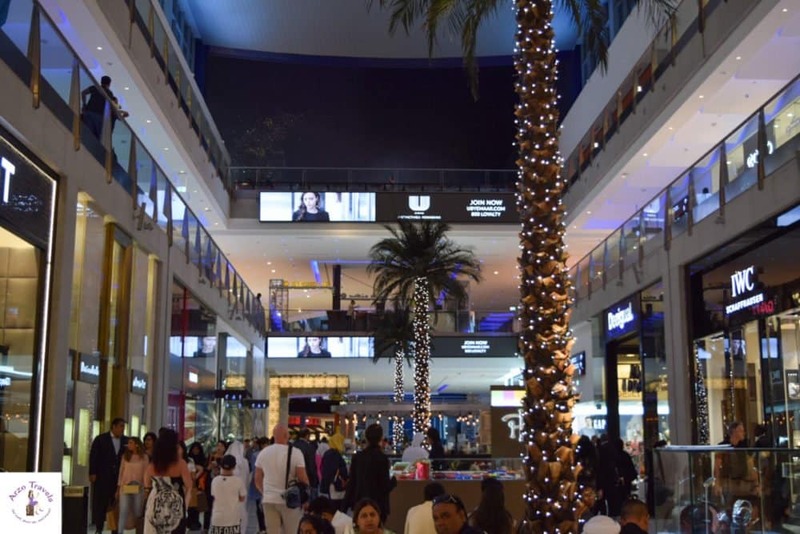 Dubai has more shopping (and bigger) malls (quick guide for Dubai Mall here) and is the place to shop. 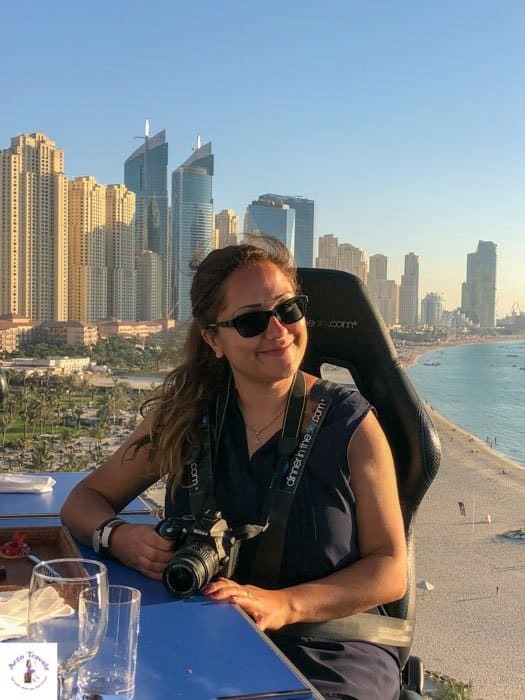 I have a love-hare relationship with Dubai Deira – the old part of Dubai often means to be stressed out as it is really busy but it is a place that reminds me like no other in the UAE (except for the desert) that I am in Arabia. 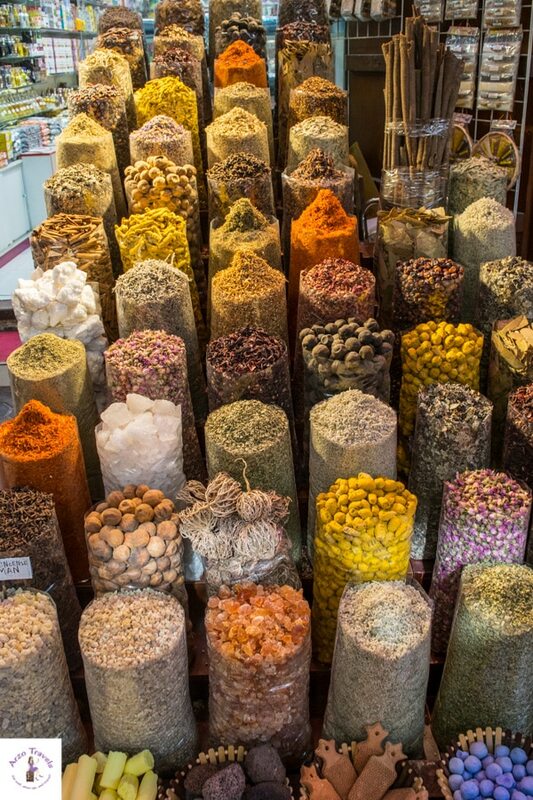 The souks (markets) there are just something you have to experience once – you cannot find souks in that intensity in Abu Dhabi. Location: Dubai has, in my opinion a better location. 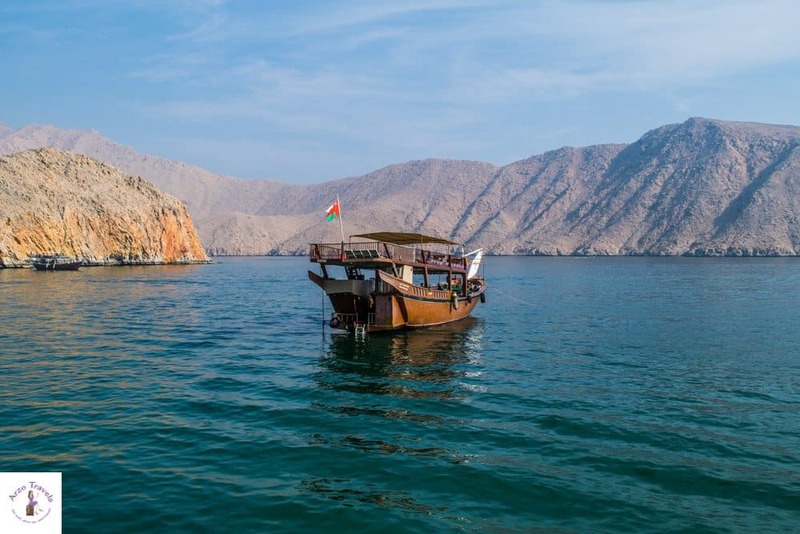 It is closer to Oman (and a day trip to Oman is fun) and to other emirates like Sharjah and Ras al-Kheimah and so day trips to other places are easier and more fun. Find my tips for the 50 best things to do in Dubai here – and click here to find all my Dubai posts. As you can see, it really depends on what you are interested at and what you like. Are you more a person who likes to go out and enjoy those “wow” moments, or do you enjoy the “natural” beauty and more quietness? What about me? Do I prefer Abu Dhabi or Dubai? I actually liked Abu Dhabi as well as Dubai. To be fair, I have to admit that I visited Abu Dhabi only twice while I visited Dubai more often and spent much more time there. Knowing what I know know I would say: If I stayed in the United Arab Emirates for one week, I would probably stay 4-5 nights in Dubai and then in Abu Dhabi for 2 nights. By the way: Abu Dhabi and Dubai are not that far away from each other. So if you still cannot decide which place to visit you can just take a hop-on and hop-off bus to Abu Dhabi or to Dubai or take a taxi to get from one city to the other (about 80 kilometers). There is also a bus from Dubai to Abu Dhabi or the other way around. Dubai and Abu Dhabi are both fun cities to visit with great tours and activities to see – before you plan your trip to Dubai or Abu Dhabi check out visa regulations. 5* Armani Hotel – Though I have not stayed at this hotel, this hotel looks pretty perfect to me – extremely elegant and the proximity to Burj Khalifa makes it one of the best hotels in Dubai. Abu Dhabi has several amazing luxury hotels. Zaya Nura is like a dream come true. This exquisite boutique hotel is the perfect place for a nice getaway. Emirates Place is located to many interesting sights in Abu Dhabi and is one of the most elegant hotels in the world. To check out prices and book your stay click here. The standard of hotels in Abu Dhabi is high and accommodation is much cheaper than in Dubai. This beautiful hotel is a 5* hotel but I places it in the mid-range hotel section as it is quite affordable to stay at and centrally located. To see the prices click here. Traders Hotel is a beautiful hotel located close to the Grand Mosque with nice views of the impressive sight. 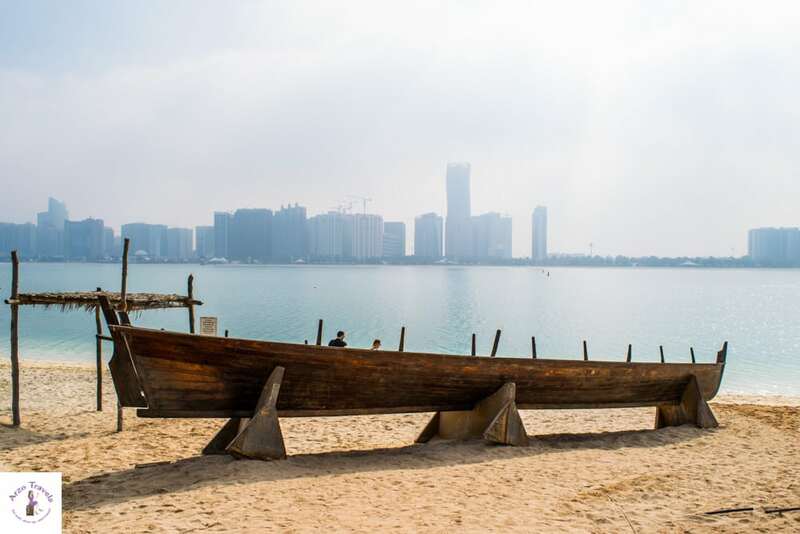 It is a bit far from other tourists attractions in Abu Dhabi – like Corniche promenade or the Emirates Palace, but well, it comes with a nice private beach section and great views of the Sheikh Zayed Mosque. Click here to check out the prices and find the best rates. Disclaimer: This post contains affiliate links which means I might earn a small commission when you buy a product/service (at no extra cost for you). More about it here. Abu Dhabi or Dubai – Which City the Better Place to Visit? Abu Dhabi or Dubai? Which is the better city to visit? Find out which is the perfect destination for you. United Arab Emirates.